Five people were injured in a wrong-way crash on the Bishop Ford near Dolton. 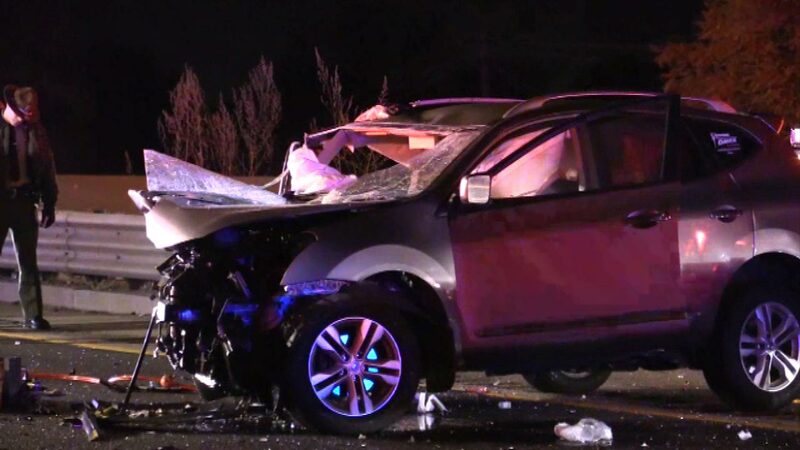 DOLTON, Ill. (WLS) -- Charges are pending against an alleged wrong-way driver who police say caused a crash on the Bishop Ford Freeway early Saturday morning, injuring six people. Five people were hospitalized after what police are saying was a wrong-way crash on the Bishop Ford near South Holland. The crash, which involved five cars, occurred around 2:30 a.m. Saturday on I-94 near 159th Street, police said. One of the injured people is in critical condition. According to police, the driver who caused the crash is a 22-year-old man. The expressway's eastbound lanes were closed for several hours early Saturday.